Lunar-Orbit Rendezvous (2018) Trailer from Travelling distribution on Vimeo. 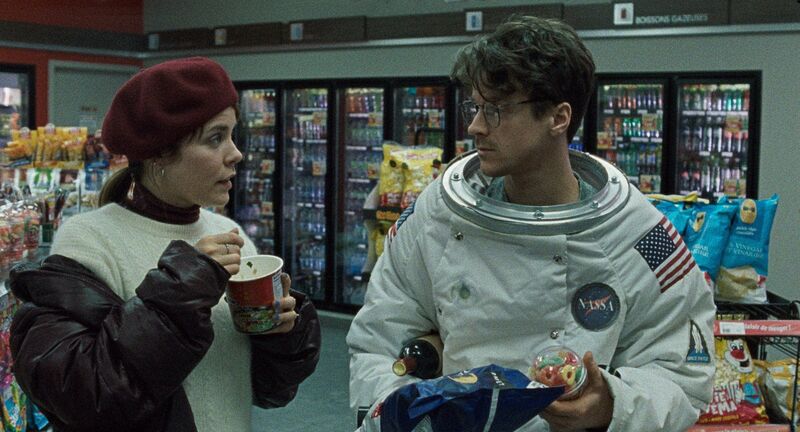 A woman-tampon joins a man-astronaut on a road trip to the moon. Daniel is on a mission to scatter his mother's ashes and Claude is hoping for her period to make a miraculous return. A modern tale that captures the fever dream of a first voyage to the moon.